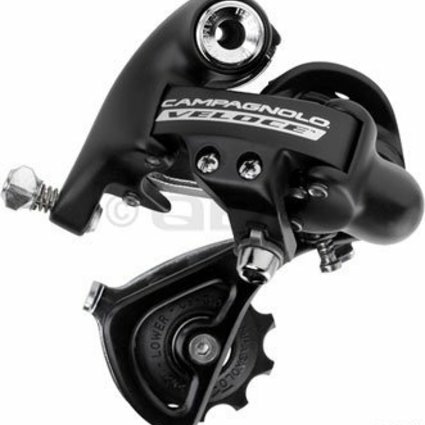 Campagnolo Veloce 10sp rear derail, SS short cage – black is a bike derailleur product from Campagnolo Bike Derailleurs. 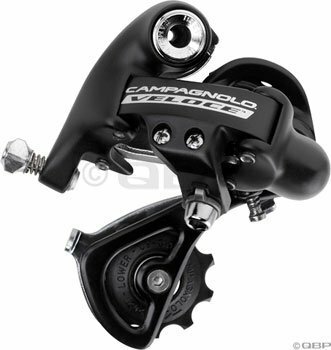 This Campagnolo Veloce 10sp rear derail, SS short cage – black will be delivered directly to your door with fast shipping time. Polished aluminum construction in Infinite (black/silver) or standard (all black) color options. Anti-vibration pulleys for maximum smoothness. Short or medium cage (55mm/72.5mm pulley-pulley axle dimensions).